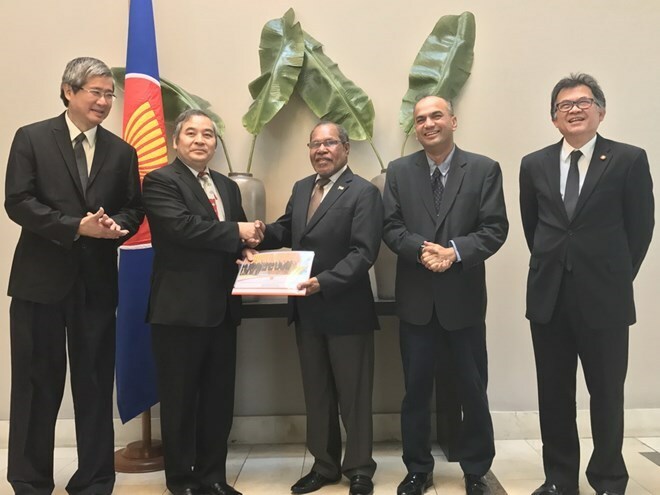 Santiago (VNA) – Representatives of the Association of South East Asian Nations (ASEAN) embassies in Chile hailed Vietnam’s contributions to enhancing relations between the bloc and the host country. During a meeting recently held in Santiago, chaired by Vietnamese ambassador to Chile Ngo Duc Thang, ASEAN ambassadors said that Vietnam successfully completed its role as chair of the bloc in Chile in 2016. Vietnam arranged numerous activities to promote ASEAN countries’ culture, landscapes and people to the host country through workshops at universities and interviews with ASEAN ambassadors on television as well as cultural and sport exchange events.